(SALEM, Ore.) - I am having a hard time picturing Republicans being led by an African-American political party chairman, but that's how it is these days, and it is nearly as comical as one might expect. 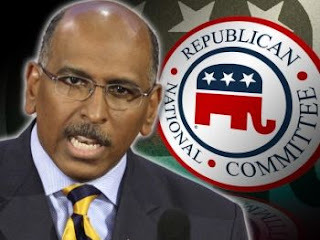 I don't mean that party chair Michael Steele is so funny and I actually think he has shown some guts with his less than flattering comments on the country's great divide; Rush Limbaugh. Steele's description of the hateful media pundit/drug addict as "incendiary" and "ugly" is an attention grabber and worth knowing. Limbaugh recently said that he hoped Obama's plan to save the U.S. economy fails. Finally, the progressives of this land can look at a propaganda tool for the rich like Limbaugh and say, "America: Love it or leave it!" Things certainly have turned around. Regarding Steele; it seems obviously that any black politician who sides with Republicans has chosen an interesting road in life for a lack of better terms. A considerable percentage of this party's members I think very clearly, do not seek the leadership of a black politician. I'm sure some, even most, are fine with it, but others are only using Steele the same way Limbaugh is used; as a tool. In an interview Saturday night with CNN's D.L. Hughley, Steele at first elicited the typical defensive statement over Limbaugh, saying "Rush Limbaugh is an entertainer," and eventually adding the descriptions "incendiary" and "ugly" to the spokesman for angry white America. Limbaugh fired back during his program Monday, saying, "Michael Steele — you are head of the RNC; you are not head of the Republican Party." Limbaugh also said "something happened" to Steele. Gee Rush, was Steele being honest or something? The implication now was that Steele spent time on Limbaugh's program, it went to his head. It was the typical garbage that Limbaugh regularly puts out. "Now I'm just an 'entertainer,' and now I'm 'ugly' and my program is 'incendiary,'" the entertainer said. So Steele began his backward slide from a man with guts calling a spade a spade, to this: "What I was trying to say was a lot of people ... want to make Rush the scapegoat, the bogeyman, and he's not." Ayers says what it boils down to, is that there's a party that has lost two elections and is struggling to find its way out of the wilderness. He was one of several republican leaders who contradicted Limbaugh by saying that Steele is, indeed, the leader of the party. "It's in Rush's interest," Ayers said in an interview, "to keep a controversy going." I doubt Limbaugh is troubled by stirring up problems in the GOP any more than he is disturbed by dividing our country and always working on instilling anger and needless paranoia. He is loyal to himself and that is the spirit Limbaugh tries to inspire in people. A true enemy of the poor and disadvantaged people of the United States and beyond, Limbaugh's willingness to cry out for war and support the politicians who in turn support groups like Haliburton, has kept him financially sound. No person who spouts his message will ever resolve our nation's difficulties. For those of us with a conscience and that give thoughtful consideration to the talents and sincerity of the entertainers they choose, all I can say is, Rush is a band.